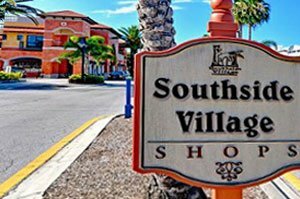 SARASOTA, FLORIDA, April 19, 2018 – A radical change looms around the traditional village of Parrish, with plans of merging two large development projects—the Villages of Amazon South and the North River Ranch—in this area in north Manatee County. Amazon South, a venture of the father-and-son tandem of Pat and John Neal, already has county approval for about 2,000 homes. North River Ranch would have an even more significant impact on the stock of Manatee and Sarasota homes for sale in the coming years, as it is proposed for close to a total of 6,000 residences. The site of North River Ranch spreads half a mile south of Buckeye Road with U.S. 301 bordering its east side. The Villages of Amazon South abuts this acreage and sits on the northwest corner of Moccasin Wallow Road at US 301 North. In an April media report, the elder Pat Neal was quoted as saying that approval of their North River Ranch blueprint would pave the way for a summer 2019 groundbreaking of Haval Farms, a new, 1,280-acre section of this development. Its permitting filed for county approval shows plans for 3,842 residences as well as commercial space of 82,000 square feet. Neal noted that their combined Parrish project is the biggest venture so far that they have undertaken. 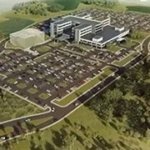 Initial groundbreaking has already been done on parts of the North River Ranch and the Amazon South property. Sales on portions of these two sites have been closed with national homebuilder D.R. Horton and with its units Express Homes and Freedom Homes. Neal said they also have done deals in their Parrish project with two other builders. Land clearing has begun on the parcel of D.R. Horton, which has already put up a sales billboard on U.S. 301. It advertises this new neighborhood of new Parrish homes for sale as Bella Lago, consisting of some 1,000 residences. To date, this development counts as D.R. Horton’s 16th actively selling communities in the Manatee‒Sarasota real estate market. According to Neal, the pricing of new home builds in North River Ranch will start under the $200s. Besides single-family homes, its residential types would include townhomes and patio homes. 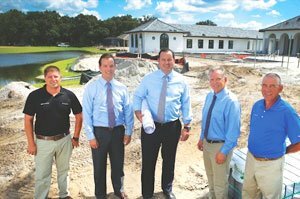 Family life shall be emphasized in this community, the developer added, noting that two new schools are rising in its vicinity—North River High and Elementary on Erie Road west of U.S. 301. As interesting for prospective buyers of Parrish homes for sale, there’s talk of revitalizing the town center and shifting it towards west of U.S. 301 near these schools and a planned campus of the State College of Florida. One idea that has been floated to spur such a move is a new central park at the Fort Hamer Road extension. Behind this idea are hopes to replicate Sarasota’s popular Southside Village which teems with shops and restaurants, and thus helped create many walkable communities. Neal’s Parrish projects could significantly help catalyze these revitalization initiatives in Parrish. North River Ranch and Amazon South carry all the gorgeous features trademark to developments of Neal Communities. These hallmarks include the wonderful amenities and exquisite community environments which not only helped propel sales of this developer but also contributed in molding the Sarasota‒Manatee region as a highly desirable place to live in.